What is Clever Belly Kitchen? Clever Belly Kitchen is an Adelaide Hills based business created in 2017 by Belinda Brown, a Chef with more than 25 years experience in the food industry and 10 years experience working with some of Sydney's Best Chefs. Belinda's passion for real food started when she was a toddler venturing into her grandfathers vegetable garden and eating fresh fruits and vegetables straight from the plant. Belinda believes that wellness is created and we are what we eat. Through her own journey to healthy eating she has discovered how important gut health is to over all health and well being. In 2015, Belinda started making Kimchi for herself and her family. One day, she had a thought "I wonder if my friends would be interested in this?" turns out they were and that is how Clever Belly Kitchen was born. Clever Belly Kitchen offers home made, small batch, wild fermented Kimchi and Kraut. Made with organic and chemical free vegetables grown local to the Adelaide Hills and South Australian Sea Salt. These ferments are made in glass jars with love and care. Check out the Clever Belly stockist page for where you can find our delicious Kimchi and Kraut. Using her 25 years of experience as a Chef, Belinda of Clever Belly Kitchen offers Whole Food Education in a workshop style environment. Workshops are fun and informative with a focus on fresh, clean food. Belinda leaves the participant with a feeling of empowerment to tackle simple ferments and healthy sweet treats at home. Workshops include Kimchi and Fermentation, Bliss balls and raw desserts, Raw food and Cooking with kids. Contact us to chat about your specific needs and keep an eye on the events page for upcoming workshops and events. Belinda has been fortunate enough to work as a Kitchen Specialist in the Stephanie Alexander Kitchen Garden Program facilitating Primary School Kitchen classes. "I love being able to share my food knowledge with children and watch the joy as they cook what they have grown in the garden. I believe that growing, preparing and sharing food are life skills that becomes life's pleasures." 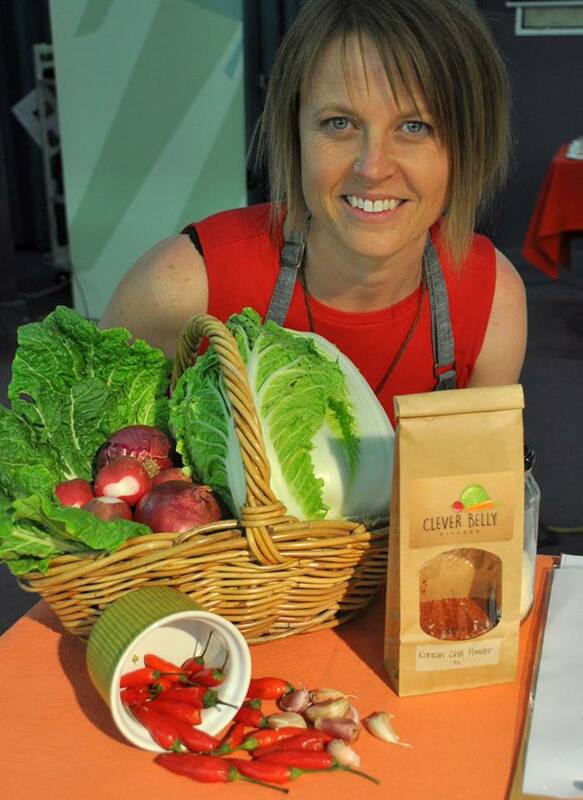 Clever Belly Kitchen offers support to Primary Schools implementing Kitchen Garden Programs. Belinda has 6 years experience in the SAKG Kitchen Garden Program and can offer hands on cooking classes for children using seasonal produce.